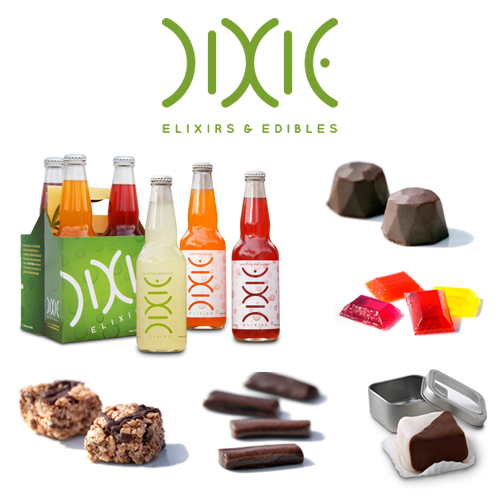 Colorado-based Dixie Elixirs & Edibles is expanding into yet another new state. The company has cemented a joint venture agreement with Silver State Wellness, which last summer became the first medical marijuana dispensary to open in Nevada. It marks the fifth new market Dixie has expanded into over the last nine months and its seventh overall. The move comes as edibles companies in general attempt to expand across the country and develop national brands. Dixie will bring eight different edible, vaping and topical cannabis products to Nevada by late May, 2016, the company announced in a press release. For Silver State, based in the town of Sparks near Reno, the partnership is its first foray into infused products manufacturing. Silver State is also developing a cultivation center as well as a product manufacturing facility. Nevada presents “tremendous” opportunities because it is still a young medical cannabis market and the state could legalize recreational marijuana there later this year, Dixie CEO Tripp Keber said in a statement. Dixie also has partnerships with Indus Holdings in California, Golden Leaf Holdings in Oregon, Bloom Dispensary Group and General Cannabis Corp. in Arizona as well as the Cann Group in Australia and New Zealand.